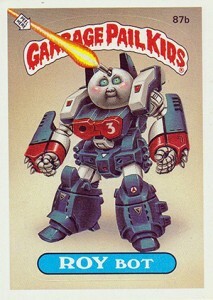 By the time 1986 Topps Garbage Pail Kids Series 3 hit, the franchise was on a roll. Expanding the checklist by another 82 cards, it has the same level of grossness kids and collectors had come to expect from the line. The 1986 Topps Garbage Pail Kids Series 3 checklist runs from 84 to 124. As always, each number has an A and a B versions. Each features a different name but the same basic illustration. Keeping with tradition, cards can be used as stickers. Riffing on Cabbage Patch Kids dolls, illustrations are heavy on gross gags intended to appeal to impressionable young children. Tom Bunk and John Pound did the artwork. Card backs are a mix of puzzles, checklists and new Wanted Posters, which take on authority figures and other people who cause stress in the lives of children. For completists, the set nearly 50 different variations. Most of these are pretty basic and involve cards with puzzle backs. These 40 cards can be found with or without a line of copyright info on the front. Another six cards have entirely different backs. 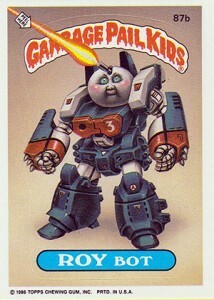 1986 Topps Garbage Pail Kids Series 3 begins a run where there is quite the same level of value. They're still very popular today, but they don't command nearly as much as Series 1 cards. Tracking down a basic set isn't that tough. Many of the middle series are still readily available. It's likely due to the line's growing popularity and mainstream acceptance. Any controversy only helped matters. Garbage Pail Kids CHRISTINA UGLIERA GPK Series 3 Sticker Card P1 Promo RARE! Garbage Pail Kids Series 3: Set from 84a b to 124a b: "Very Good Condition"
82 cards. Numbered 84a to 124a and 84b to 124b. The following cards can be found with or without copyright info on the front. The following cards are available with two totally different backs. I’m aware that in these Series 3 cards, numbers 86A and 91A were printed with both checklist backs and “wanted” poster backs. Were 86B and 91B ALSO issued with “wanted” backs as well as checklists? Thanks. 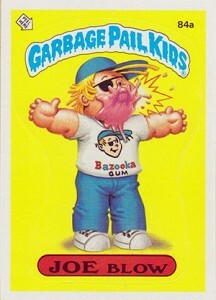 I have 75 packs of unopened 1986 3rd series Garbage Pail Kids I’m trying to sell. I have 3 boxes of 1986 series 3 and 2 boxes of 1986 series 4 unopened packs. Would I be further ahead to open them and see what’s there, or keep them closed and try to sell? They aren’t in the best condition but I want to get rid of them at a decent price. Thanks for the help.